Raglans are classic and cozy and this raglan is also sporty and stylish. 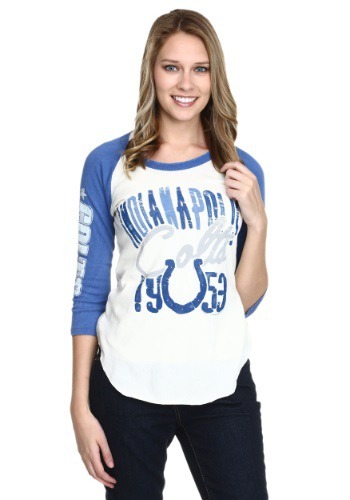 You’ll love wearing this Indianapolis Colts All American Women Raglan Shirt not only to home games at Lucas Oil Stadium but also when you’re out and about with your friends. No matter where you go, you’ll be supporting your home team in a chic way, which is totally you!.